This weekend will mark my first Mother’s Day. A day that has come and gone in my life without much fanfare up until now. So what do I want for this first special day? I want my daughter to know that being her mother has been my pleasure. Before I was a mother, I imagined parenthood to be a marathon of sorts – worth it in the long run but painfully difficult while the race was being run. Good parents sacrificed to give their children what they needed to grow and parents reap the benefits over time as their children age and are able to reciprocate that love. While that is entirely true, I didn’t realize there was something wonderful that was much more immediate. I never imagined that being a mother wouldn’t feel like a sacrifice at all – at least not one that I minded. How could I have known that even one sided love can fill my heart to bursting? How could have I realized the happiness of simply seeing my baby smile back at me, holding her close while she sleeps or a million other little moments were an emotional experience that parallels no other? I did not expect that my mostly happy life would be catapulted into a different stratosphere of pure joy when she upended my life. I’m sure there will be many days in my life when motherhood isn’t quite so joyful and many days in her life when she will forget the unending love I have for her. But I hope in those darker times I can recall this and remind her that I am here for her, always. Not because I am obligated as her mother but because I am blessed to have had her in my life. For mothers day, I want my daughter to always know that being her mother is the greatest joy I could have I never imagined.  Want more Brooklyn Limestone? Please come visit me elsewhere on the web. Let's talk about stoop gardening at My Way Home, thrift store shopping at Colortopia, some favorite shopping finds via Wayfair, behind the scenes of our lives on the Brooklyn Limestone facebook page and Instagram feed. Beautifully said. Mother's day can be hard for me because I lost my Mom two years ago, and I don't live near my son, so we can't get together. But through your post you are helping me to remember when my son was small, and memories are a great thing. Thanks. There is nothing one-sided about this love- it's entirely mutual and without any hesitation. I think that's what makes it so magic. :) Happy mother's day! I'm a new mom as well, and you have really captured my sentiment on my first mother's day. Happy mother's day! I love this blog even more now that Agatha is around because you just seem like the most down-to-earth mom. You are surely lucky to have her, but she is also so lucky to have a mom like you. Happy first Mother's Day! aw so sweet, she is sooooo cute! I don't think anyone could have said it better. My little girl is a week older than yours and I've really enjoyed watching you in this journey. Although we've never met, I feel like we are sharing in many of the same experiences, and I wish continued joy and happiness for your family. Have a great Mama's Day! What a lovely, lovely post. I sometimes still marvel at the fact that I'm a mother. And, my "little" girl is about to be 28 years old! We'll be traveling to Brooklyn in a couple of weeks for her wedding. :-) Time does go at warp speed. Enjoy your first Mothers Day and thank you for sharing your journey. Thanks so much for posting this! I've always been nervous about having kids and the great sacrifice that comes along with it. I'm afraid that I won't be ready and be so overwhelmed. But hearing this calms me and reassures me that there are lot of great things to look forward to! Happy Mothers day to you! so sweet! happy first mother day!! so sweet, and so so true! Oh my goodness, what beautiful big blue eyes!! Beautiful post to your sweet baby girl. Happy Mothers Day! I love this post! I have felt the same way for the last 4 1/2 years since I too became a mommy. I love that heart bursting with love feeling that no other relationship can give. It's a high that I hope never to come down from. Happy 1st Mothers Day!!!! It's the greatest love you will ever know. Enjoy your first Mother's Day. I'm celebrating my 20th Mother's Day as a mom & being the mother of an adult is full of even greater joys. Seeing him make good choices & be happy with himself fills me with so much love & pride. It really does get better with each stage of their lives. Happy 1st Mother's Day! What a lucky little girl to have such a cool mom like you :). and cue the waterworks. I celebrated my first mother's day this year, and all I can say is DITTO. so well said. oh man, this is so sweet and so, so true. No matter what the hard times, it's the best thing ever!! That kind of love brings tears to your eyes, doesn't it. Hope your first mom's day was lovely!